Everyone wants to get published. It’s an honor to be published. 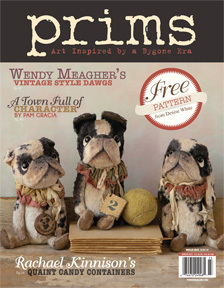 I was recently honored to have one of my Santos dolls featured in the latest issue of Prims magazine. It’s always exciting to see a part of yourself in print. I’ve been lucky enough over the past few years to be published in over21 publications. And I mean that in a totally non-bragging way; because what I want to do is share a bit of what I have learned with you. Being published can be an awesome thing. Especially if it’s a bucket list item. And that first time, second and even that most recent time makes your heart flutter with excitement and pride. While I have never found it has brought me a ton a traffic, it does bring credibility and pads the old resume a bit. And, it just plain feels good….And so validating. But,sometimes getting published is not such an awesome thing. In today’s virtual sharing society, it seem like such a great thing when a bigger blog or publication wants to share an idea, one of your ideas, with the rest of the world. The thing is,depending on the situation it may only help them, and you, maybe notsomuch. It is very hard to see a project you have worked very hard on, that is your own creative idea and forever see it credited to someone else. I have free-lanced with magazines for almost 4 years now. There is little or no pay, and unless they are willing to continually credit you, after a while,you will get lost, but a part of you will forever be republished and reprinted over and over. Many times I have had something published that now is no longer mine. Over 3 years ago, I submitted a project to County Living Magazine. The day they told me they were going to use it was one of the best days in my life and an awesome experience. The day it was published was momentous. I still get excited when I see it pop up various places. That’s mine!!!! It was one of the biggest affirming things of my life. It was a check mark off of my dream list. It’s challenging however now, even though I am still credited on the website, 3 years later to know it’s forever not my baby anymore. When your home is featured somewhere, especially in a national magazine, They will forever own those pictures, including any they took of your kids, your dog, and your family. That happy family picture may turn up 5 years from now to use as they wish, even long after the divorce papers are filed; if you catch my drift. And yes, I am still happily married. 🙂 Your kitchen may also turn up in all kinds of places 2 years after it was shot, heavily photo-shopped….. I guess what I am saying is before you give yourself away, get over the initial excitement and think about everything that goes with it. 1. Consider what you are willing to give away for free and what you need to be compensated for. Many magazines do not pay or compensate in any way. 2. If you write for another website besides your own, are you giving them the best of you?The best ideas? How will that help you in the long run, is $50 or $100 worth it? Or are you giving the best to you where your energies should be? 3. Many publications make you sign a non-compete publishing clause for up to 6 months where you cannot appear or those certain rooms they shot cannot be in any other publications. 4.Are they willing to plug your blog or web site? 5. Do they own the pictures and the project or just the pictures? 6.If your blog and your personal name are different, ask them to credit your pictures to your webpage not you. Are you getting credit? 7.Pinterest is a total game changer…..If it’s a bigger blog and you are writing for them, are they willing to still let you own your photos and watermark them? You might need to weigh the options. 8. Are they willing to at least link to you or give you a linking bio and send traffic your way? 9. 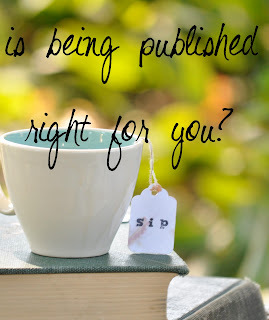 Will they let you re-publish your projects at a later date? 10. Remember, you are doing them a favor. Not the other way around. You are giving them content, most of the time for free. There needs to be some kind of compensation for you in some capacity. Bloggers are a big game changer for magazines. We now set the trends and we bring the exposure, not the other way around. YOUR creative talents and mental property are worth something. Someday magazines will realize they need us.NOT the other way around. 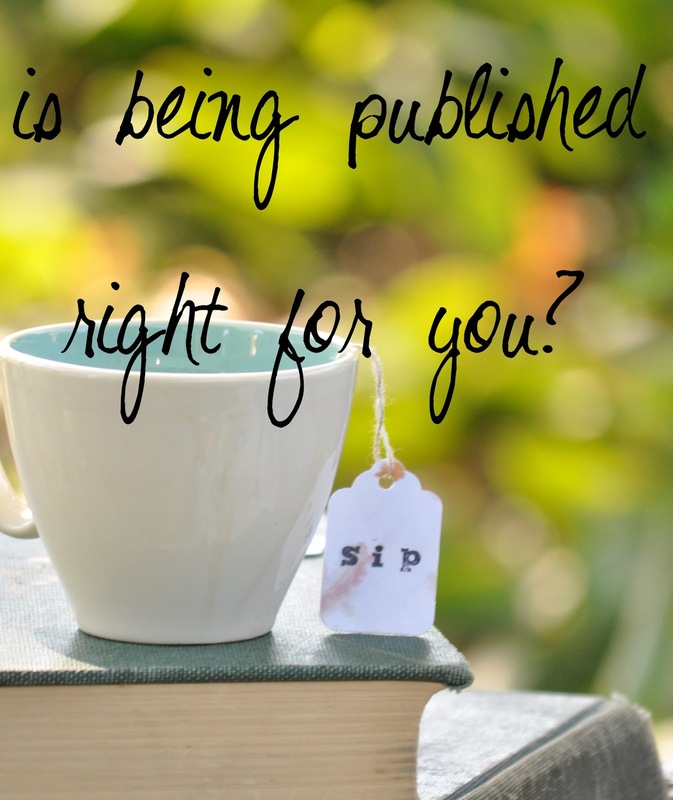 You deserve to be published, with the right vehicle and the right time. Listen to your gut. There is a lot of think about. Would I still be published? Yes, Would I do some of them over again? Heck yeah, but I would change some of my conditions. Are there things I just wouldn’t do?Yes, I have turned down offers after I realized it really wouldn’t do anything for me. But, have I also had some great experiences with magazines? I have, some are amazing to work with, with amazing editors, photographers, and staff. Will I still get published? Probably not after this post because I’ll be ear-marked as a rabble-rouser and be black-balled. Because, it’s great to get published…On your terms. Thanks for the knowledge. I am a new blogger but love to learn as much as possible. I’m glad I found your blog via Whisperwood Cottage. Excellent post. Thanks for your thoughts on this. I have always wondered about this and I have to agree. Agree with Lisa, excellent post! 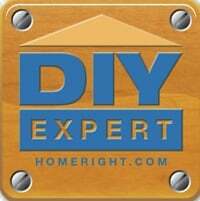 I have had my house in about 4 national (Canadian) tv commercials and some print ads. Its usually my kitchen, and while their is no recognition, at least it pays well (enough)! I wouldn’t have thought that magazines don’t pay for these ideas and locations! Blog land should change things! Thank you so much for sharing, Jen. This is so interesting to a newbie who only wonders about these things. Very eye opening and sage advice. I respect you so much for posting this. I hope anyone could see that you are just being honest and giving advice to those who can learn from your experiences. Your talent will overcome anyone who begrudges this selfless act. Thank you Jennifer for the advice and for sharing your experience.I would still love to be featured even just once.It’s been a loooooooooooooong time dream.Long before blogs were even around.Still hoping my time will come. I never thought of these things that you mention, Jen. I have wanted to be published for years. I’ve been in a few newspapers, but a magazine is what I’ve been hoping for and I’m still hoping. One time and I’d be happy enough. Jennifer, Thanks so much for the wisdom, I would like to start my own blog one day. I am a nurse but love to decorate, sew and do crafts. You are being honest and speaking the truth especially to those of us who have no knowledge of this and may one day be offered the chance to be published. This could prevent some from having regrets and costly mistakes. Dear Jennifer I am applauding your braveness in sharing. Thank you. It confirms a decision I made. It really made me stop and question all that I was doing. Not everyone knows but I am actually a professional journalist. I’ve had regular columns in newspapers, have written special features, etc. But you are right. It didn’t grow my blog or make me any money. Remember mom telling you about the cow giving away free milk? Well, she was right. On Friday I made a huge announcement on my blog that I am really excited about. You are a brave, brilliant and true! great information, Jen…puts being published in a whole new light. I was so surprised to see that you submitted the tablecloth with red stripes to Country Living…I made that after seeing it!! I love a good rabble-rouse! Thank you so much for this frank post about creative rights and what one gives up when being published. When MSN showed your kitchen makeover from Country Living I was horriied by some of the mean comments people left. (Crazy) people who didn’t like that you painted your cabinets white etc. It shook me to think of a dream come true, being published by CL, could take an ugly turn. People can be so mean on the internet. They dont seem to realize there are real people behind what they are looking at. What a great post Jennifer! I just recently was featured in RH and was truly honored by it. If it were to ever happen again I know of the other things to think about. I will be keeping this post in my favorites for sure! The timing of this is great for me. I have been approached by a huge US magazine to design something for them for a holiday issue and am being paid a fee for that and next week I have the biggest UK magazine coming to photograph my house for a summer issue. I’ve already signed the paperwork giving them the rights to all photos etc and did it without any real consideration as I was so honoured to be asked. You’ve given me lots to think about now. Thanks for this post. That is great advice. I am longing for a feature in a magazine but I agree it can be a tricky thrill and honor. It is on my bucket list to someday be honored in a magazine not for money or fame just to feel what you love is recognized by peers. That is why I love to blog now. To be feature on other blogs is such an honor for me. To have others that love what you love validate what you have done is a wonderful feeling. Thanks for the look from the other side, Jen. I totally agree that bloggers are leading in style now. Gosh, I go to stores now and see things and think “I saw that on a blog quite a while ago.” Really, our blogs are like our own little magazines, I think! This was a great post, Jennifer. Very timely for me, and a few others I can think of right off the bat. Thanks for sharing your experience with us! What a useful post. Having been published pre-blog I have never been willing to give anything away. The struggling print industry is sure getting a real nice free ride from more than willing bloggers! Fantastic stuff too! Thank you for your insight. I appreciate your honesty. Hadn’t thought about much of that stuff before. This is such a well-written article! Thank you so much for sharing and giving me so much to think about! Jen, you are reading my mind with this post this week. Truer words have never been spoken, and THANK YOU for having the guts to say all of this outloud. This is just what I needed to hear. This is fascinating, Jen. A lot to think about … not that I could ever imagine a magazine wanting to publish my home! What a wonderful post! I am so grateful for your honesty and appreciate you writing it. I am new so have no worries of being published,lol, but it is very good to know anyway! So much great information. Thank you for your honesty! My sister sent me the link to this post and I very much enjoyed reading it. You definitely threw a lot out there to think about. Many things are worth much more than the price tag attached to them. What a great post! I’ve read a lot of other bloggers talking about this in blogtalk but you shared it in such a concise way to get me thinking “if” this ever happens. I guess when you’re just starting you’re afraid it won’t ever happen so you feel like any publicity is better than none. Thanks for sharing your expertise. This is really a great post, and very well written. You’ve heard the “first” time is always the best, but maybe after that we think about it in different terms. I certainly know now what I need to think about. Wow, Jen…you’ve given us lots to think about. I’m really shocked that magazines aren’t willing to compensate for quality material. It doesn’t seem right for the owner/writer/photographer to be left out of the process. Your work is valuable. Magazine pages with poor content and loads of advertisements? Into the recycle bin and subscription cancelled. I’m happy that you had some great experiences and due to the integrity of your work, I think you’ll have many more. I was thoroughly enjoying a slideshow on my MSN page about kitchen makeovers when I came to a screeching halt. I was staring at a picture of a kitchen and thought, “hey….I know this kitchen”. But something was different. 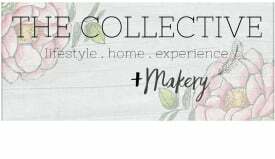 I looked and looked and then wondered….”is it possible that this is a kitchen from one of the blogs I follow?” I started scouring my blogs and after alot of scrolling, sure enough, it was your kitchen. But it WASN’T your charming, beautiful kitchen after they got finished hacking it to pieces. It truly upset me….and I don’t even know you personally, nor did I create that wonderful room. I can only imagine how sad you must feel each time you see that. Sad that people don’t know that it was your kitchen before being grossly photoshopped and yet sad that people possibly DO know that it is your kitchen and think that you created the half-done room that they show. …..it just irks me, Jennifer. Had to get this off my chest.